Power-related issues are beginning to clash with process variation at 7/5nm, making timing closure more difficult and resulting in re-spins caused by unexpected errors and poor functional yield. Variability is becoming particularly troublesome at advanced nodes, and there are multiple causes of that variability. One of the key ones is the manufacturing process, which can be affected by everything from variation in equipment—no two EUV scanners are exactly alike, for example—to impurities in materials such as substrates or gases. It also can happen in manufacturing processes, such as cleaning of wafers or depositing of materials. All of this has an impact on how a chip functions, and with tighter tolerances at each new node due to higher transistor density and thinner insulation layers, the impact of variability is growing. This is not to say POCV is perfect. The methodology has full statistics of passing rate for each timing path, but it doesn’t calculate the statistical correlation between the billions of paths in an SoC, where any single failed timing path will result in a failed chip and lower yield. For example, if each of the starting players on a football team had a 50% chance of showing up to a game, the probability of having a full starting lineup on a game day could be zero, Chuang said. However, statistical correlation to calculate design yield requires exhaustive Monte Carlo simulation, which could take years to complete on large-scale SoCs—one of the top reasons SSTA was not broadly applied. Many designers are aware of this and choose to add significant margins globally as a preventive measure, but that approach is making PPA closure extremely challenging at 7nm and below. Recent breakthroughs in machine learning and static timing analysis (STA) technology now allow designers to do full-chip Monte Carlo simulation several orders of magnitude faster than before by combining Parametric OCV and ML-driven Monte Carlo simulation results. Those combined simulations can be performed for designs of any size within a few hours if not minutes, all while using the same input collateral as POCV for immediate deployment. POCV is not the only OCV option, though. Marc Swinnen, product management director at Cadence, agreed that timing variability has become more pronounced at the lower operating voltages typically found in low-power designs. Moreover, the usual techniques for reducing variability—increasing buffer drive strength and increasing positive slack margins—are antithetical to the goal of achieving low-power. 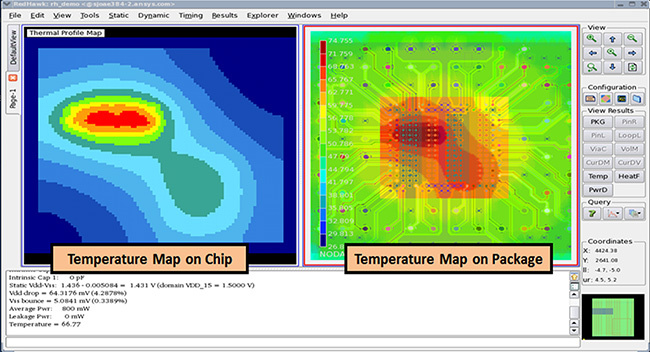 Over the past couple of years, as ultra-low voltage (ULV) designs have become more common, EDA tools have introduced several techniques and capabilities at the intersection of implementation, voltage drop analysis, and STA to address this variability challenge. By accounting explicitly for the real, measured IR-drop, STA will reveal which paths can tolerate the IR-drop and which ones require optimization and fixing. This is a much more surgical approach than across-the-board max-voltage drop margins that penalize all paths regardless of the true impacts on timing. A key consideration for setting up an IR-drop aware STA flow is that the timing libraries must be characterized at multiple supply voltages to capture how the delay varies with voltage, he said. For example, a nominal 1.0 volt library may need to be characterized at 1.0V, 0.9V and 0.8V. The STA tool then needs to apply interpolation techniques to calculate the cell delay at, say, 0.932V. or whatever the actual measured voltage is at that cell. The amount of analysis needed for advanced node designs, especially when factoring in large numbers of modes and corners, can make for a challenging flow to timing closure and signoff, asserted Dave Pursley, product management director at Cadence. The problem is that various tools in the chain (especially place and route, timing signoff, and power signoff) may each do their analyses slightly differently, causing many closure iterations that may or may not converge. Inconsistent analyses can even necessitate a re-spin of silicon, he said. From a high level, variability always has existed in manufacturing processes. But as features shrink, they are more susceptible to thermal damage due to thinner insulation layers, static current leakage and dynamic current density. To minimize those impacts, chipmakers lower the voltage as far as possible. But that creates other issues as tolerances shrink and noise from power, electromagnetic radiation and a number of other physical effects begin to impact signal integrity and timing. In spite of this margin, silicon is still failing specifically from these physics effects, which have an impact both locally and globally. “The global design weakness happens with individual CPU cores because they are firing at different times. Hotspots are changing, or alternately, the instance level rail collapses with localized di/dt type events. So you’re now dealing with a double whammy. You have localized and you have global issues because you don’t know the sequence of events of these large blocks changing and switching. People are perplexed on how to manage this,” Kulkarni said. The solution depends on being able to do concurrent chip-aware system design and system-aware chip design in order to answer questions about the root cause of the problems and how to solve it each step of the way. On the flip side, designers also are faced with increasing low-power requirements. “You can design a very robust chip, but if it consumes too much power, it’s not going to cut it.,” Ying said. “Performance requirements continue to be very high. If you can make the chip bigger then, you will avoid some of these problems. But obviously you cannot afford to do that because all of this will translate into the cost of your chip, your competitiveness, and finally time to market. You can’t take too much time over-analyzing these effects or you can’t deliver the product in time,” he explained. This pushes designs right up to the edge of failure. “You don’t want to go over to cliff, but you don’t want to be far away from it because of cost so timing closure is also very much impacted by this variation,” he noted. Add to that list of concerns aging models at advanced nodes, and the whole design process gets even more complicated. Pre-stressed and aging-aware standard libraries are becoming more common. So are EM-aware libraries that consider current density and the activity level to be safe within EM requirements. To help design teams better prepare to meet timing closure from the outset of their advanced-node design, they would do well to keep in mind the small amount of headroom between the supply voltage and the threshold voltage.